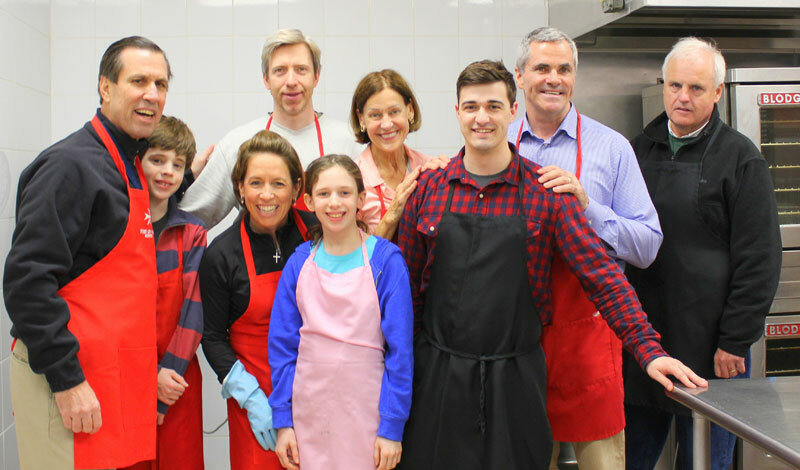 Boston Area members gathered together with a number of other regular volunteer group members from a local public school, a Catholic parish, and from Austin Prep, a nearby private Catholic middle and high school, for serving the evening meal at Cor Unum Meal Center in Lawrence MA, on Sunday, March 10, 2019. Fr. 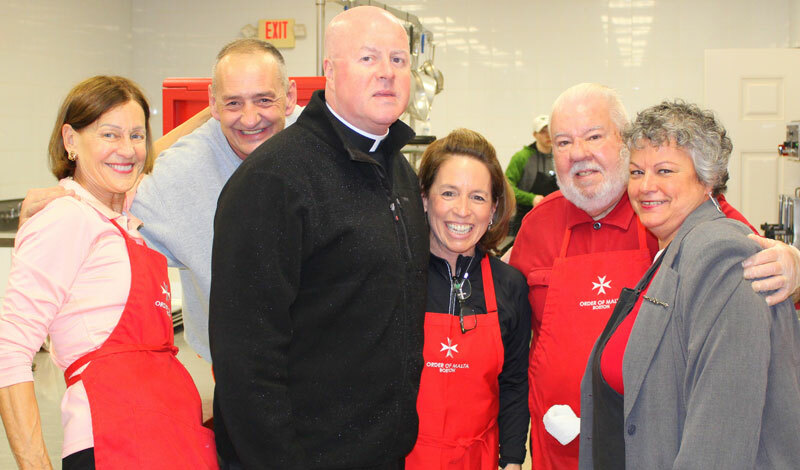 Paul O’Brien, pastor at St. Patrick Parish, and founder of the Cor Unum Meal Center, stopped by just before the 5:30PM Mass to say hello to guests, and to provide words of gratitude to the hard working volunteers. Cor Unum has been operating for 12 years and never closed after the recent gas explosions that rocked the city. 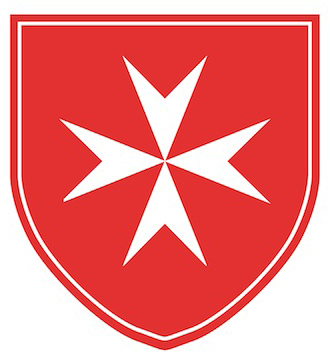 Cor Unum runs in partnership with St. Patrick’s Church. 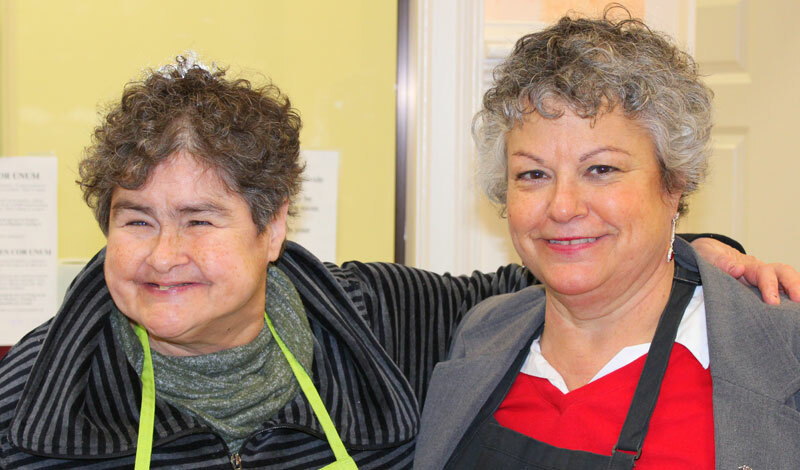 Here are two other long-time volunteers and sisters, Mary Ann & Helen Proctor. About 100 guests enjoyed a dinner of hot chicken and vegetable soup with an entree of Orange Pork over rice. While not bitter cold, it was a raw night with wet snow and puddles everywhere. The guests at Cor Unum lingered a bit longer over tea and coffee and asked for seconds (and sometimes thirds) of the hot soup to escape the early March night. Members of the Boston Area are scheduled to serve again at Cor Unum on April 7. Click here for more information regarding the Boston Area’s events.